The Spirit of the Tree and Other Back Yard Tales uses straightforward fable-like stories to meditate on the miracles of the natural world. 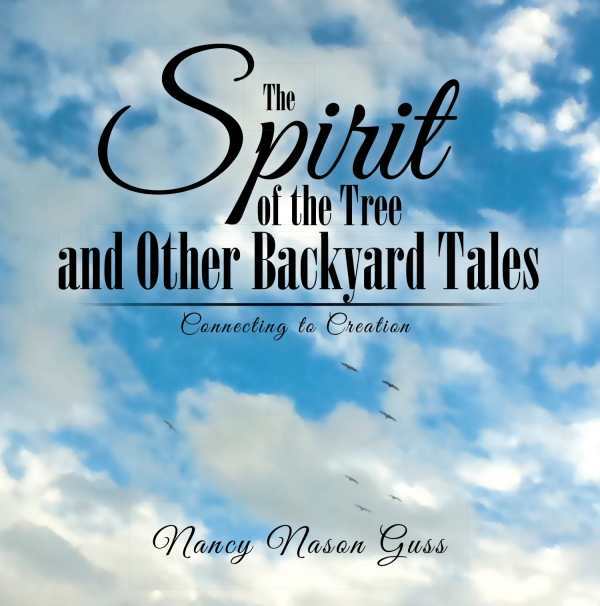 In The Spirit of the Tree and Other Back Yard Tales, Nancy Nason Guss explores spirituality and humanity’s place in the natural world without dwelling on divisive themes. The book’s six stories focus on what connects people to nature and each other, rather than the differences and debates that divide them. While the brief tales make specific references to God, the themes and messages are universal. Human characters are given names in only one of the stories, while others refer to humans by common nouns like “boy” or “daughter,” adding to the book’s sense of inclusiveness. Animals and trees, on the other hand, more often get individual monikers to go along with their distinctive personalities and personified traits. That, along with the fact that each of these tales could easily be assigned a moral, gives the stories the feeling of modern fables. Straightforward writing and streamlined settings and characters also fit the fable mold. Dialogue is direct and uncomplicated in a way that serves the stories well. Language is not complex, but it maintains interest. This could be an ideal book for reading aloud with children, given the easily digestible length of its stories. The collection also includes a section with suggested discussion starters and activities for each tale that parents and other caregivers can delve into with young readers. Each story is illustrated with photos or drawings that map the plot’s progress, but some are more effective than others. The first story, “The Spirit of the Tree,” is somewhat hard to follow because it is broken up by more than twenty photos. Various photos have lost sharpness in their reproduction. Comparatively, the book’s drawings, which embellish two of the six stories, are charming, appealing, and do a fine job of illustrating the stories they accompany.